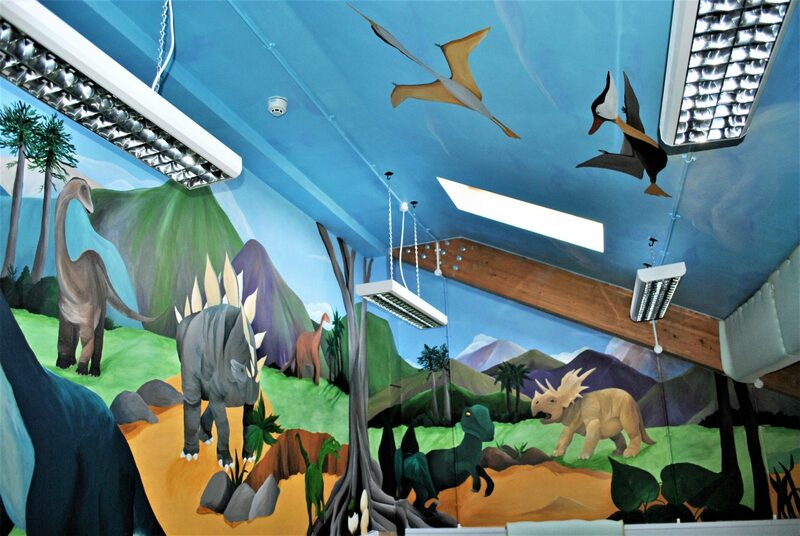 Please explore this gallery to see examples of Children’s Wall Murals. 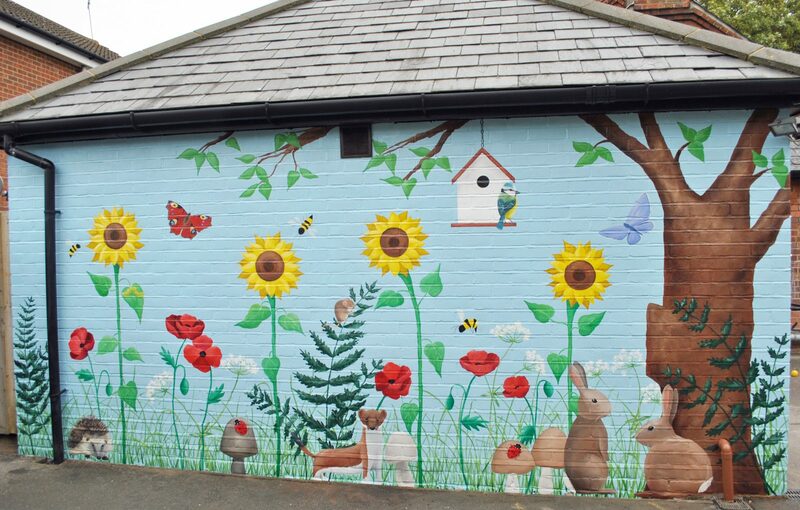 Each mural has been hand painted by Helen Brady. 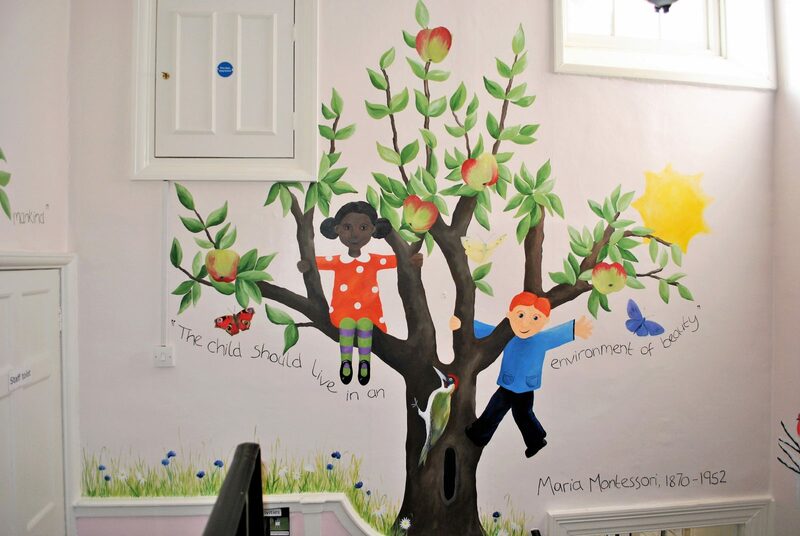 Every child’s nursery, bedroom or playroom is an unique place. 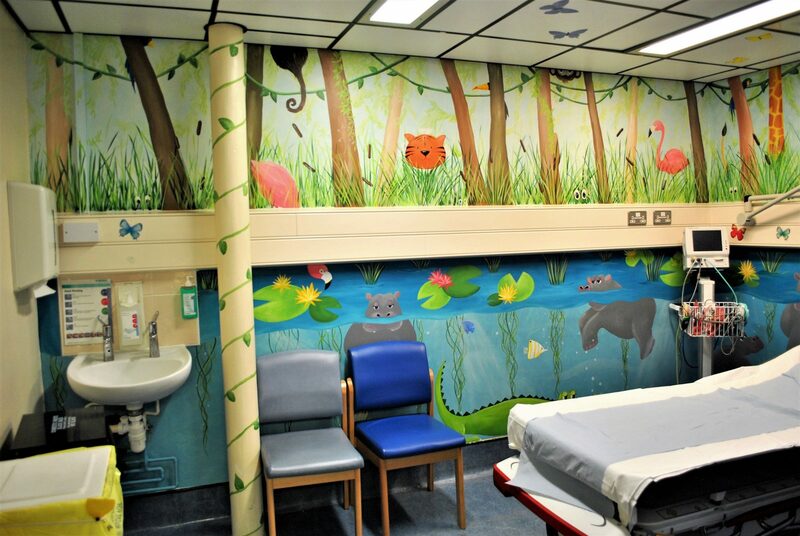 A bespoke mural helps to make it somewhere really special. 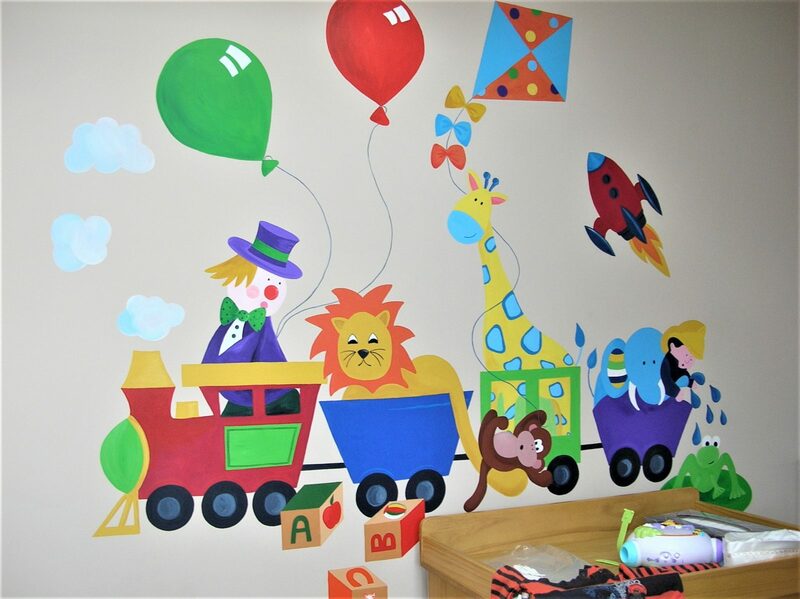 Helen is a professional mural painter who specialises in creating children’s wall murals for bedrooms, playrooms, nurseries and commercial spaces. 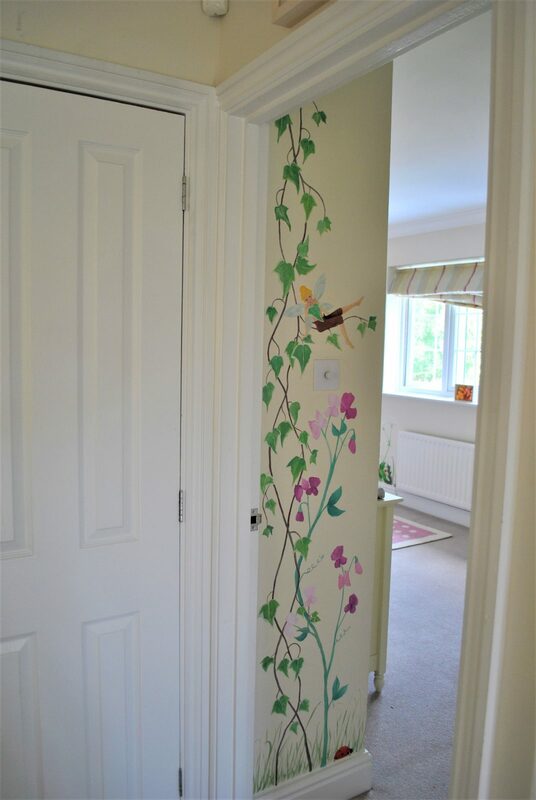 In addition, Helen can create bespoke hand painted furniture to complement your wall mural. 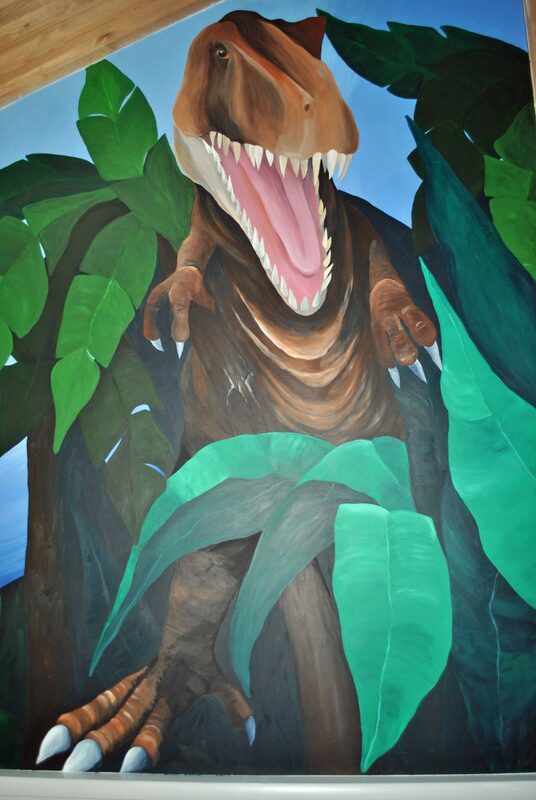 Children’s wall murals are an original way to decorate either an interior or exterior space for your child. 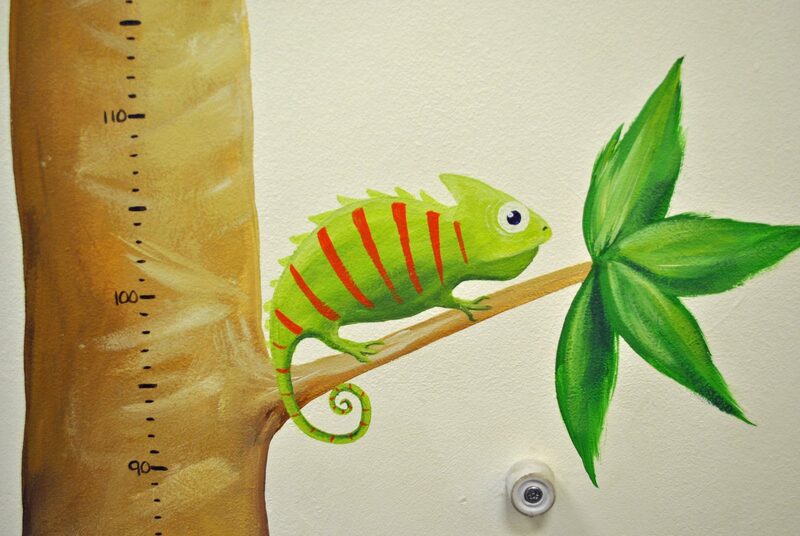 Wall murals offer an unique alternative to wall decals, which most of all won’t go out of style. They are also very hard-wearing. Helen works on all scales and to all budgets. 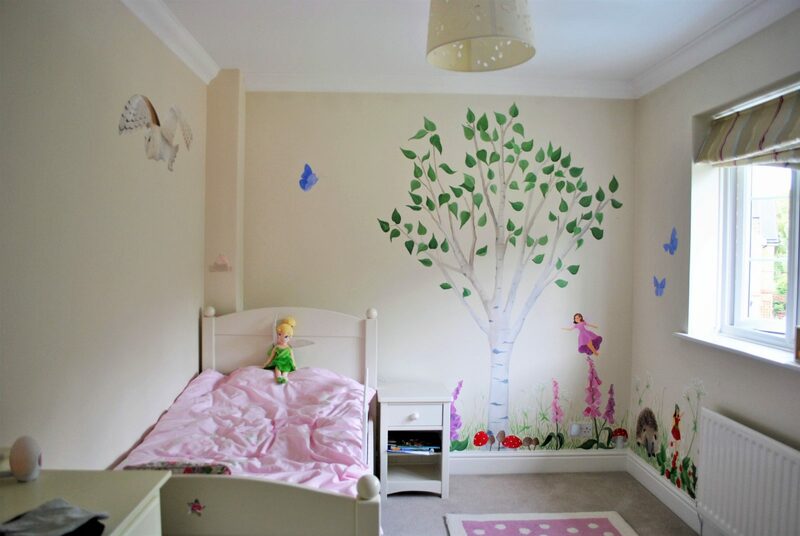 She can paint detailed children’s wall murals to completely theme a room, or create bolder, more simple designs to instantly brighten up an empty space. 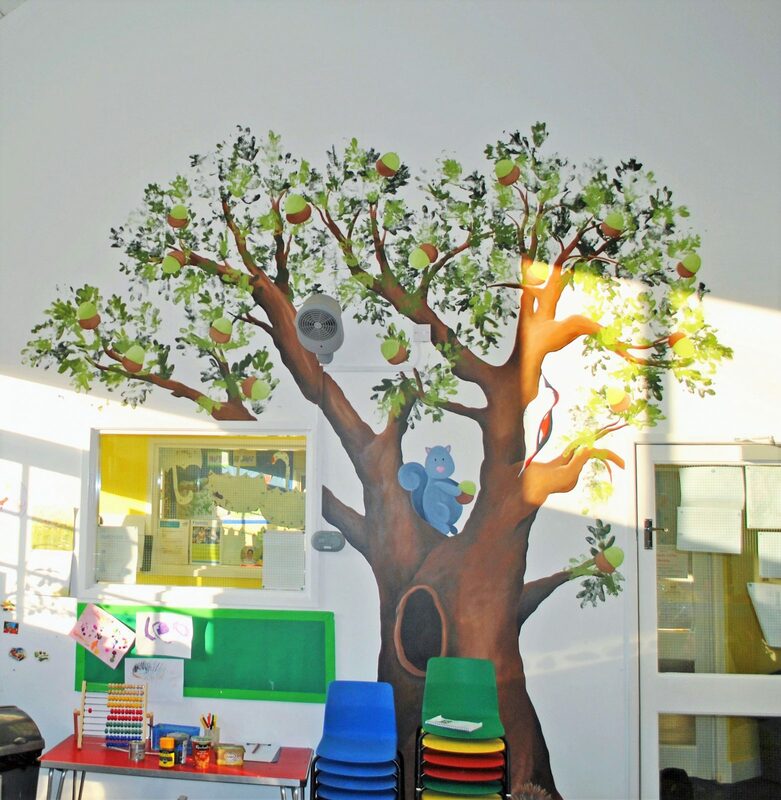 Furthermore, Helen can create children’s wall murals for public and commercial spaces, such as schools, nurseries, hospitals, soft play centres and more. 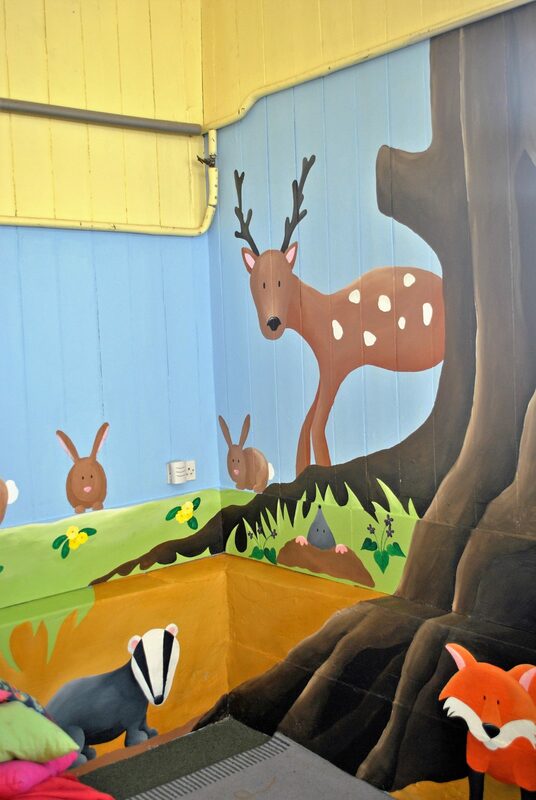 Transform a children’s party room, an activity room, a communal area, a reading corner, or even a garden wall. 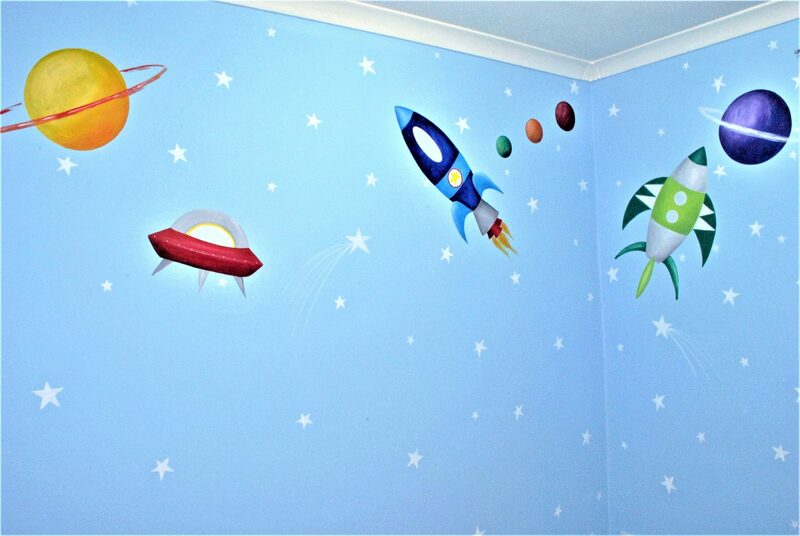 Children’s wall murals are the perfect way to brighten up any space. 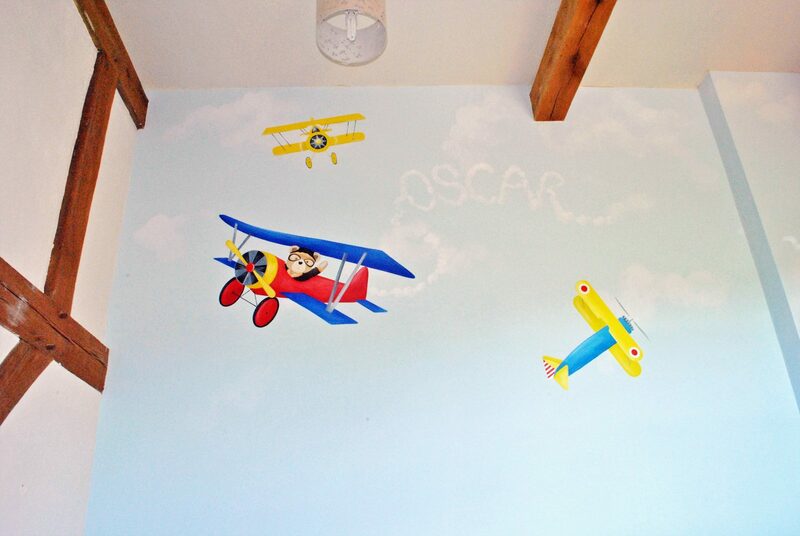 To commission your children’s wall mural, please contact Helen Brady today. 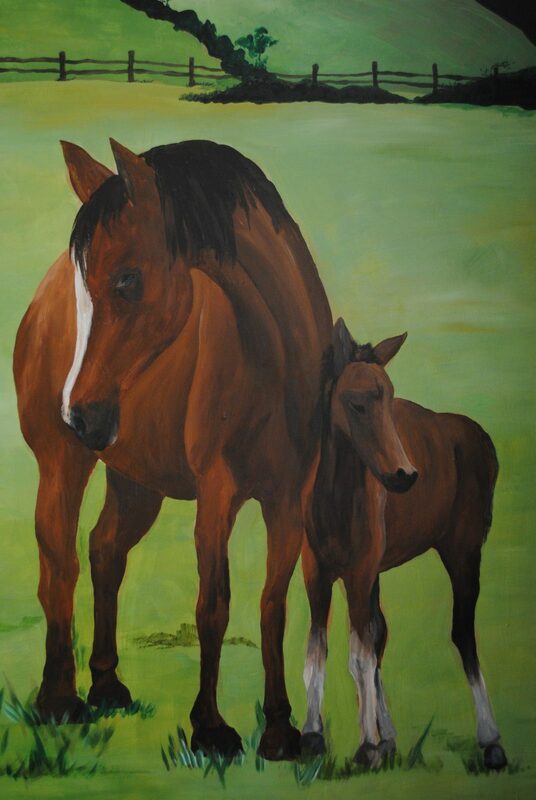 First of all choose a theme of your choice, or if you are stuck for ideas, let Helen create a design for you. 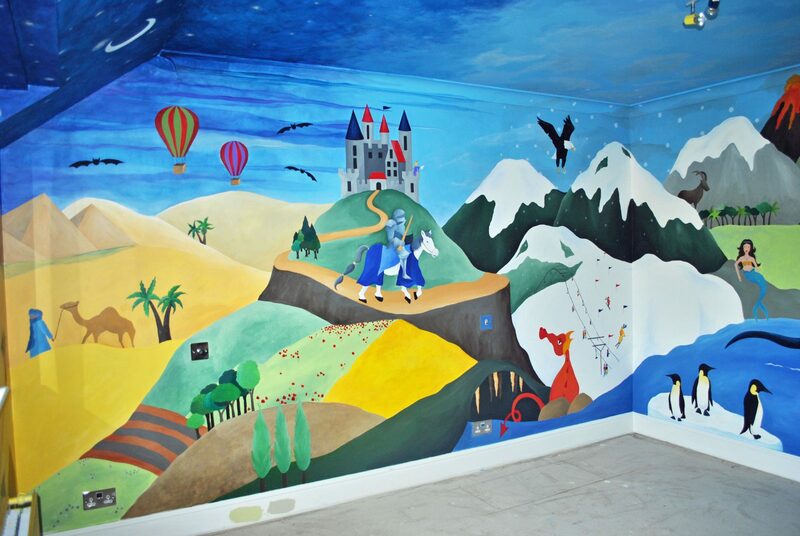 Helen is an experienced children’s mural painter who will then hand paint your wall mural to the highest standard. 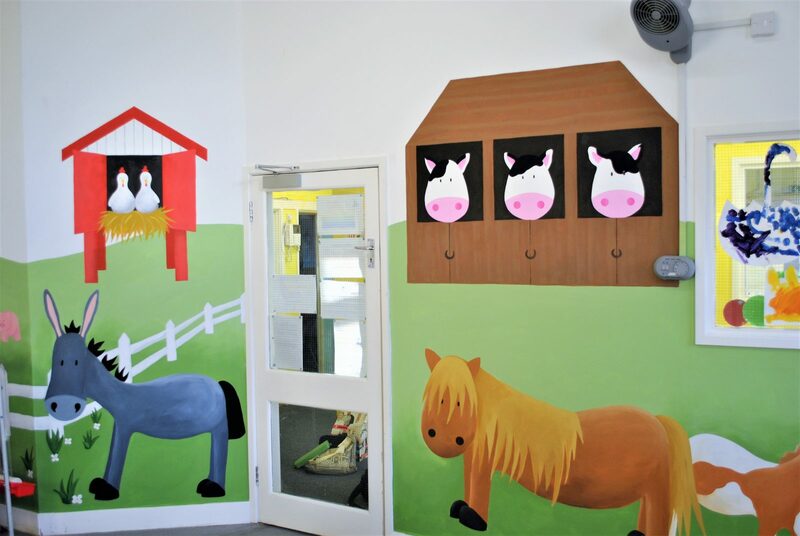 Helen Brady is an experienced Mural Artist creating hand painted children’s wall murals throughout the South East. Contact Helen to arrange your free consultation today.